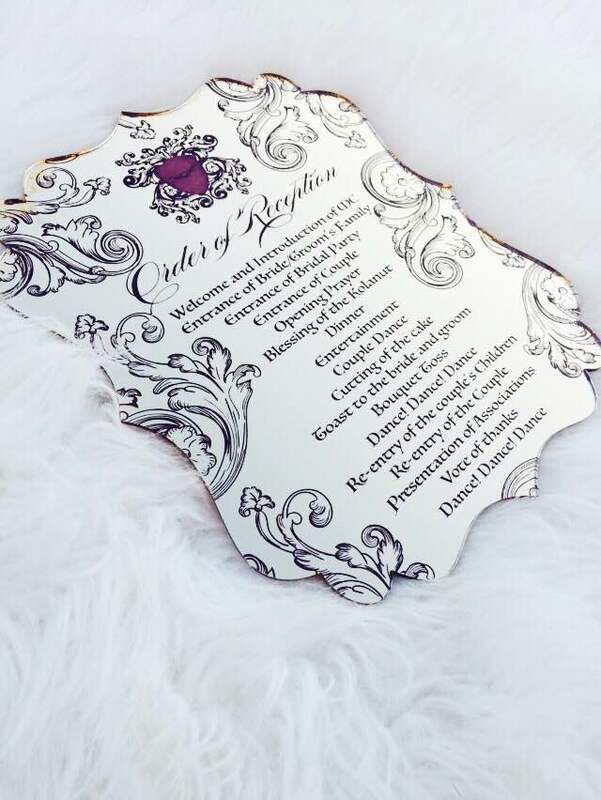 I’m a lover of details and this mirror wedding program was such a labor of love. We laser cut the mirror acrylic program into a custom shape and engraved the intricate and detailed design which was based off of the custom monogram that we created. For the grand finale, this piece was hand painted to bring in the pop of purple color for the clients big day.